The Second Crusade (1147–1149) was the second major crusade launched from Europe. It was called in 1145, in response to the fall of the County of Edessa the previous year to the forces of Zengi. The county had been founded during the First Crusade (1095–1099) by Baldwin of Boulogne in 1098. While it was the first Crusader state to be founded, it was also the first to fall. The Second Crusade was announced by Pope Eugene III, and was the first of the crusades to be led by European kings, namely Louis VII of France and Conrad III of Germany, with help from a number of other important European nobles. The armies of the two kings marched separately across Europe. After crossing Byzantine territory into Anatolia, both armies were separately defeated by the Seljuk Turks. 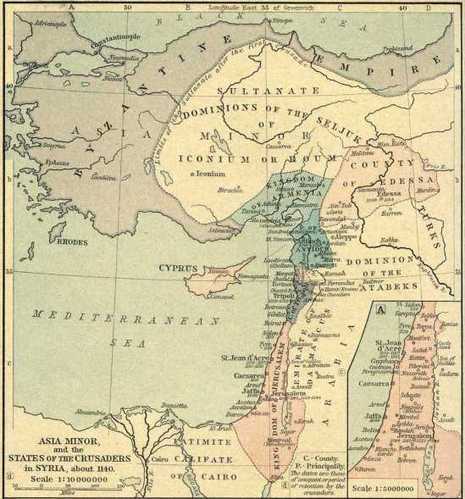 The main Western Christian source, Odo of Deuil, and Syriac Christian sources claim that the Byzantine emperor Manuel I Comnenus secretly hindered the crusaders' progress, particularly in Anatolia where he is alleged to have deliberately ordered Turks to attack them. Louis and Conrad and the remnants of their armies reached Jerusalem and, in 1148, participated in an ill-advised attack on Damascus. The crusade in the east was a failure for the crusaders and a great victory for the Muslims. It would ultimately lead to the fall of Jerusalem and the Third Crusade at the end of the 12th century. The only success of the Second Crusade came unintentionally to a combined force of Flemish, Frisian, Norman, English, Scottish, and German crusaders in 1147. 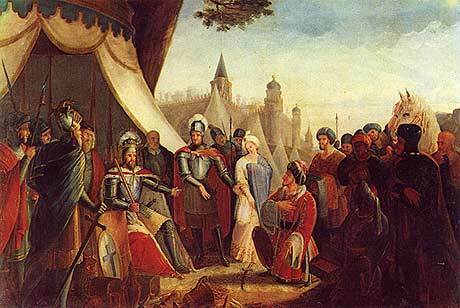 Travelling from England, by ship, to the Holy Land, the army stopped and helped the Portuguese in the capture of Lisbon, expelling its Moorish occupants.